We are writing this note for distribution to all the places where David Saffir has generously provided his expertise and wisdom over the years; please distribute as appropriate. Many of you will recognize David’s name. Some from the excellent book he contributed to our Mastering Digital Series, named Mastering Digital Color. It still sits on my resource volume shelf. Others have heard David speak at venues from Sammy’s in California to B&H Photo in New York. And in recent years you may have had the opportunity to discuss photography, videography, and digital workflow with him in the Datacolor booth at a number of tradeshows. Thousands of you would recognize his voice from the webinars we co-hosted for Datacolor on a wide array of photo and video topics. Finally, there are those who have followed David’s personal blog, as well as his frequent contributions to the SpyderBLOG. 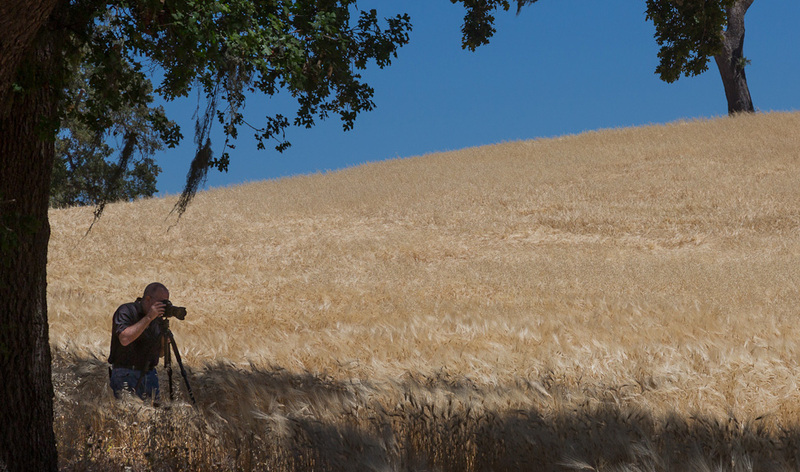 Like many photographers, David is an independent contractor. This means he has to pay for his own health insurance, most recently through the Affordable Care Act. Recently David’s wife underwent major surgery, and the bills, above what insurance covered, had already begun to mount. During her recovery David suffered a major stroke, leaving one side of his body paralyzed. Neither of the Saffirs will be able to return to work any time soon. An account has been set up on David’s behalf, and any donations to it will be used towards the Saffir’s rapidly growing short-term expenses. Donations can be made payable to David Saffir, and sent to his sister Cynthia Saffir, 2266 Pelham Ave. Los Angeles CA 90064. Alternately, you can donate via PayPal, account name csaff@yahoo.com. All donations, of any size, will be much appreciated. We will keep you informed of David’s progress, as further information becomes available. Thank you for your assistance. and a growing list of other photography friends. 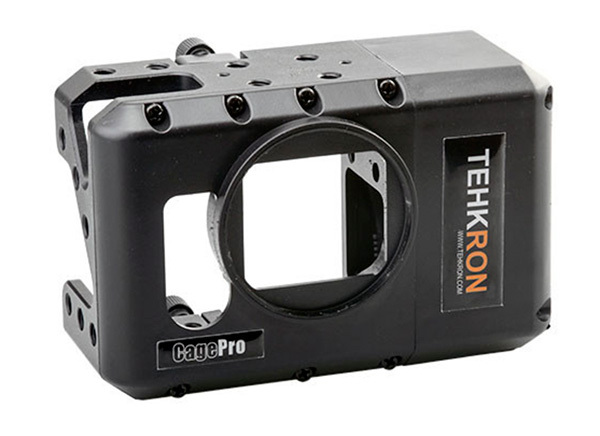 Tehkron has announced a new cage for the GoPro Hero3+ cameras called CagePro, which serves multiple purposes. We all know the types of abuse GoPro cameras see; its all in a day’s work for a GoPro to be used in high activity, accident-prone situations. So an outer cage for the GoPro is a useful tool unto itself. Convenient attachment methods for GoPro cameras can also come in handy, since crazy action angles are what GoPro is about. A second version of the cage is available with a top handle, offering even more options for support and attachment. Perhaps the most unique feature of CagePro is that it holds standard batteries (the same batteries used in the Canon 5D Mk ll and lll, and 7D) to provide long-life power to your GoPro. 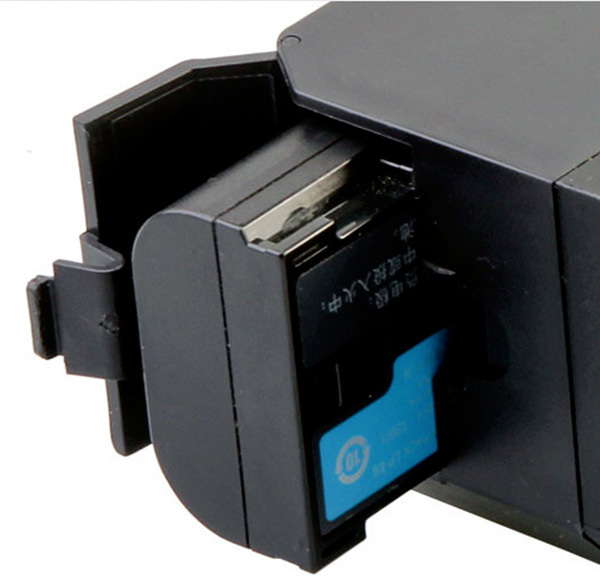 Anyone who has spent time working with GoPro videography will instantly understand the value and convenience of this option; not only can you power your GoPro for longer, you can interchange batteries with your DSLR cameras, which you may be using on the same shoot. GoPro cameras are used in uncontrolled situations, and typically they adjust to bright conditions by shortening the shutterspeed. As we learn from our DSLR video work, this is not ideal. In the DSLR video world, we would compensate for this by adding a neutral density filter to the camera to allow shutter speed and aperture to not be sacrificed for the sake of not blowing out the highlights. The 62mm front threads on the CagePro housing allow ND and other filter types to be mounted. Again, if you have 62mm threaded lenses, this will allow you to interchange components with your DSLRs and your GoPros. Is CagePro an accessory you can’t live without? That will depend on your particular brand of action videography; but I can see a lot of value in this product for GoPro shooters. 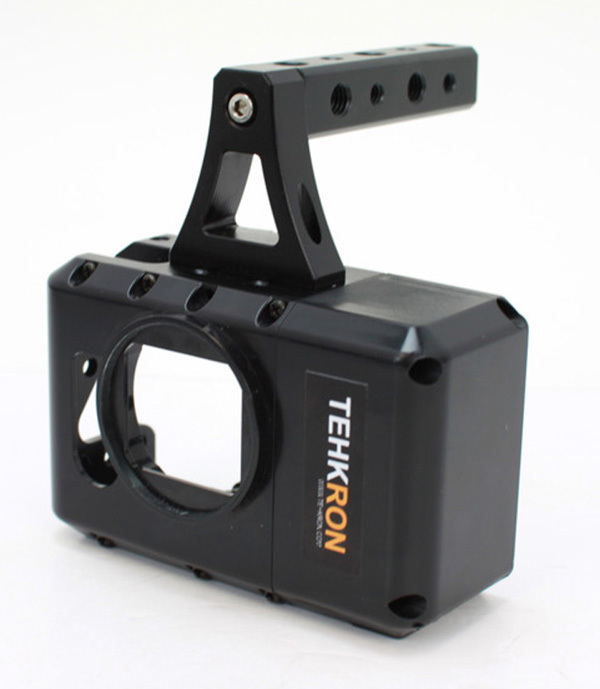 At prices of $150US and $180US for the cage or the cage plus handle, this is an affordable addition to the action shooter’s gear.